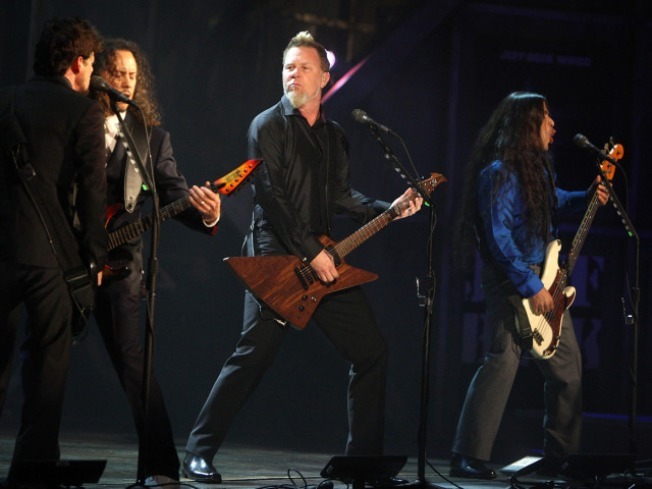 Metallica is helping with the investigation into a missing student. It has been more than a week since a 20-year-old college student called her friends at a Metallica concert to say she was outside the arena and would find her own way home. Now the famed heavy-metal rockers are participating in the search for her, adding $50,000 to the reward for information leading to her whereabouts. While investigators attempt to discover what happened to a young woman described as open, beautiful, artistic and giving, Morgan Harrington’s parents, Dan and Gil Harrington, have been keeping a high public profile, trying to focus attention on the disappearance. Young adults sometimes disappear intentionally, but the Harringtons were uncommonly close to their daughter. A student at Virginia Tech, about 35 miles from her parents, she talked to her father every day and trusted him with her computer passwords and the key to her apartment. She also spoke with her mother daily and frequently returned home to visit. On Saturday, Oct. 17, Morgan Harrington spent the day at home planning with her mother what she was going to wear at the Metallica concert she planned to attend at the University of Virginia. Such days were the norm for the family, Gil (pronounced “Jill”) Harrington told Robach. “It was a regular day for us: got up, made tea, had coffee, chatted some, showed the outfits, showed me how she was going to do her make-up,” the mother recalled. Morgan went with friends to the concert. Sometime between 8:30 and 9 p.m., she called her friends to say she had gone to the restroom and ended up outside John Paul Jones Arena on the University of Virgina campus in Charlottesville. She told them she wasn’t allowed back in and would find another way home. The next day, her phone and purse were found in a parking lot near the arena. Morgan, who never went anywhere without her cell phone, hasn’t been seen since. Her parents reported her missing the next day and local and state police along with the FBI have been conducting the search for the 5-foot-6, 120-pound blonde with blue eyes. The Harringtons also have a 22-year-old son who told his mother that if Morgan were abducted, whoever took her would have no choice but to keep her alive. Robach asked Gil Harrington what she would say to her daughter if Morgan was listening. Boosted by the $50,000 pledge from Metallica, there is a $150,000 reward for information that helps find Morgan Harrington. Police ask anyone with information to call 434-352-3467.